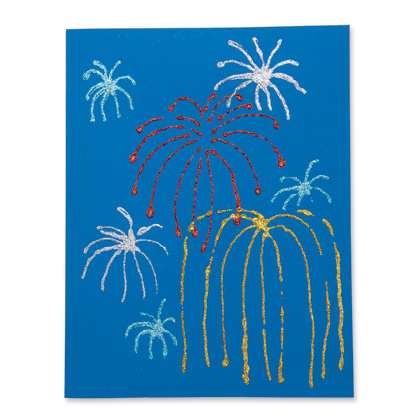 This simple and fun craft project is perfect for the Fourth of July or New Year. Place a few circles of paint or glue on the construction paper for each child. Children use Q-Tips to spread out the paint in a star or firework shape. Sprinkle the wet paint with glitter. Reblogged this on O'Block Books & Educational Materials Blog.